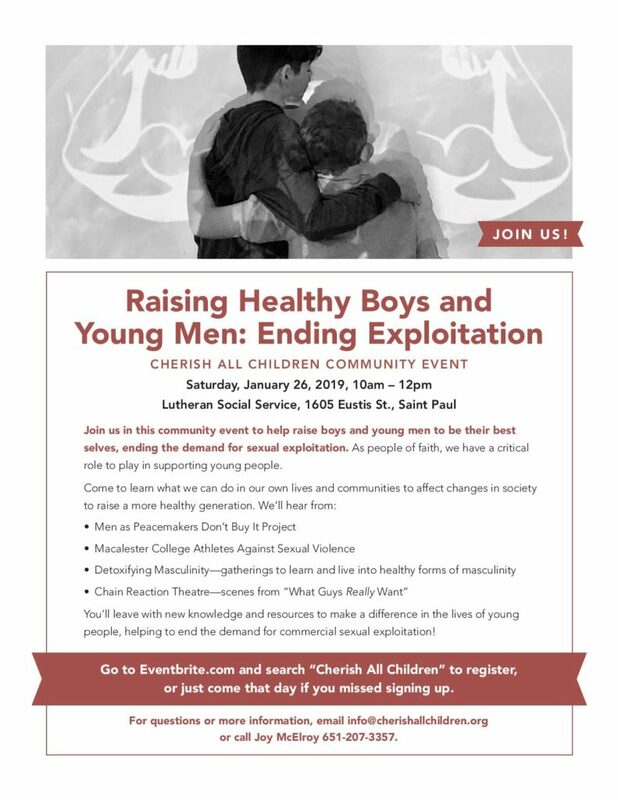 Cherish All Children will be hosting an event at LSS on Saturday, January 26, 10am-noon, called “Raising Healthy Boys and Young Men: Ending Exploitation.” We will focus on what we can do in our everyday lives and communities to affect changes in society to raise a generation free from exploitation. We’d love to have you, members of your WELCA groups (and spouses!) 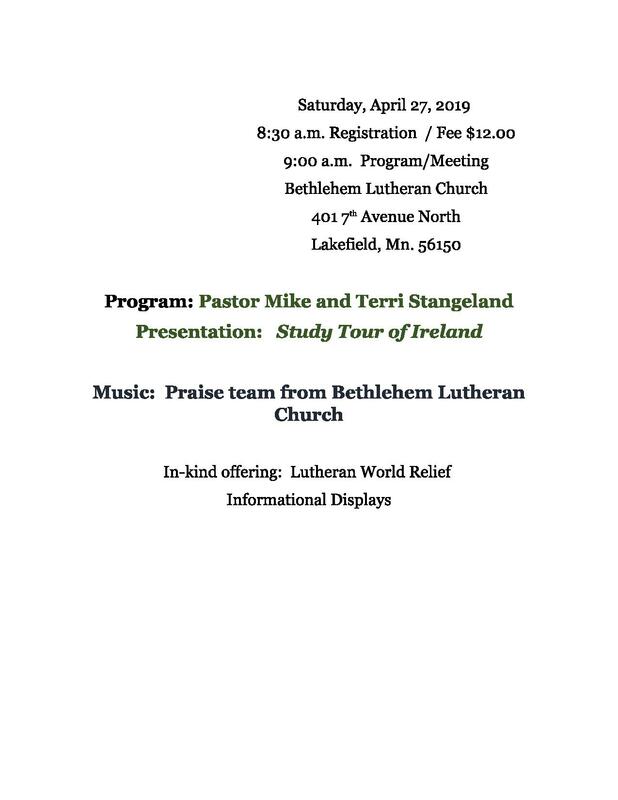 and church members come to hear from amazing speakers on this topic, and how you can bring new knowledge and resources back to your church to make a difference in the lives of young people! 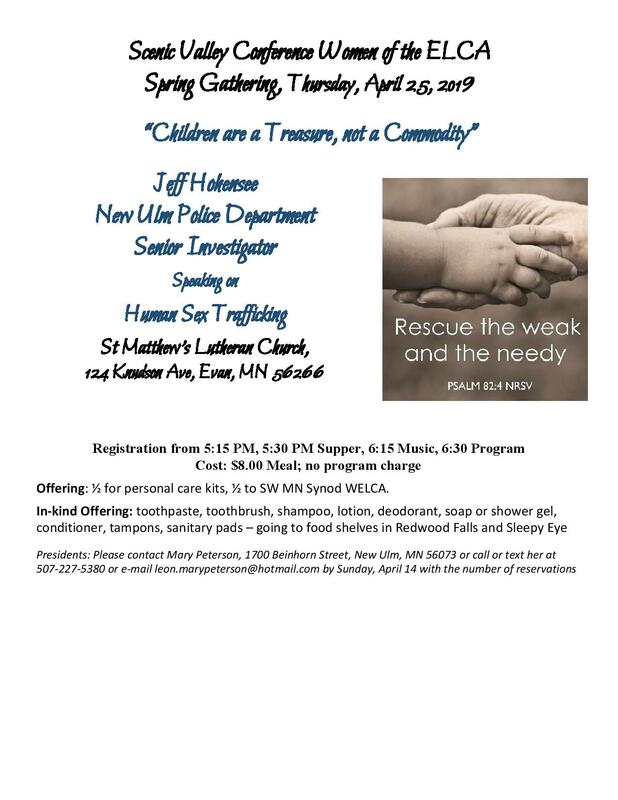 The St. Paul Women’s Synodical Organization is one of our sponsors, supporting us with treats that morning and money toward honorariums for our speakers. This helps keep this ministry going – many thanks! If your group or any of the individual WELCA groups are able to support us as well, it would be greatly appreciated. Gifts of all amounts keep us moving forward to keep children and youth safe from exploitation and trafficking.